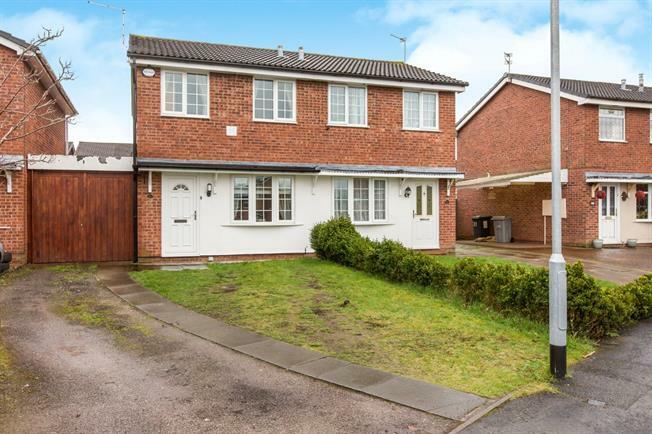 2 Bedroom Semi Detached House For Sale in Sandbach for Offers in the region of £140,000. Tastefully presented two bedroom semi detached house ideal for a first time buyer. This beautiful home is located just outside the centre of Sandbach providing a wide and varied range of boutique shops, supermarkets, stunning church and a wide range of restaurants and bars. The property comprises of lounge, modern fitted kitchen/breakfast room. To the first floor there are two bedrooms and bathroom. Outside the property there are gardens to the front and landscaped enclosed rear garden. Viewing strongly recommended to appreciate this wonderful home.